Natalie Grace Martin’s eyes light up and her voice lifts when she tells stories about her children. “She says things like, ‘May I?’ not ‘Can I?’,” Natalie recalls with a blush across her cheeks. Talking about her children makes Natalie glow. It is clear that motherhood is one of her greatest joys. She says that “damn near everything” in her life has changed since The Devil Strip’s February 2016 issue, of which she was on the cover. At that time, she had the quintessential nuclear existence: a wife, two adorable and precocious children, a dog, a house in a small town, and a little music career. Everything was as it ought to have been, for all intents and purposes. However, a change that Natalie had seen coming for roughly two and a half years turned that nuclear existence on its head: her wife came out as straight, and their marriage ended in a no fault separation. Though she had seen it coming, the split still hit Natalie hard. However, she knew she didn’t have the time to go through the traditional trajectory of the grieving process—depression, isolation, slowly returning to life and normalcy—because she had children and a community who needed her. It is this pursuit of happiness with a vengeance that seems to steer Natalie’s entire narrative of her life. Within days of her marriage ending, Natalie found herself scrolling through dating apps, where she met guys who were nothing but true gentlemen. After dating five men she had met online, she decided to let life take its course and lead her to her current relationship. A simple twist of fate brought them together, a partnership neither of them could have predicted. Natalie was in her basement and had found a photo album. In that album was the one photo she had of her and Luke at their senior prom. As she turned the page from that photo, remembering good times shared with a good friend, Luke messaged her out of the blue, offering support for her in the wake of her divorce. Natalie was dumbfounded. Fast forward a few weeks, and the two who had known each other for twenty-two years prior were officially a couple. There was no legwork in getting to know each other. It is in this relationship with Luke that she has found a lot of inspiration and a sense of peace being with someone she has trusted immediately. “He has an integrity of character you can’t fake,” she says. She credits Luke with being her muse, something she had been a long time without. When discussing her new album, “She/Her/Hers,” Natalie’s energy shifts to one of enthusiasm, yet serenity, a calm readiness for the world to get to really know her. One of the topics that she addresses on “She/Her/Hers” (out August 16) is suicide, and she hopes her music touches those who are in dark moments themselves. 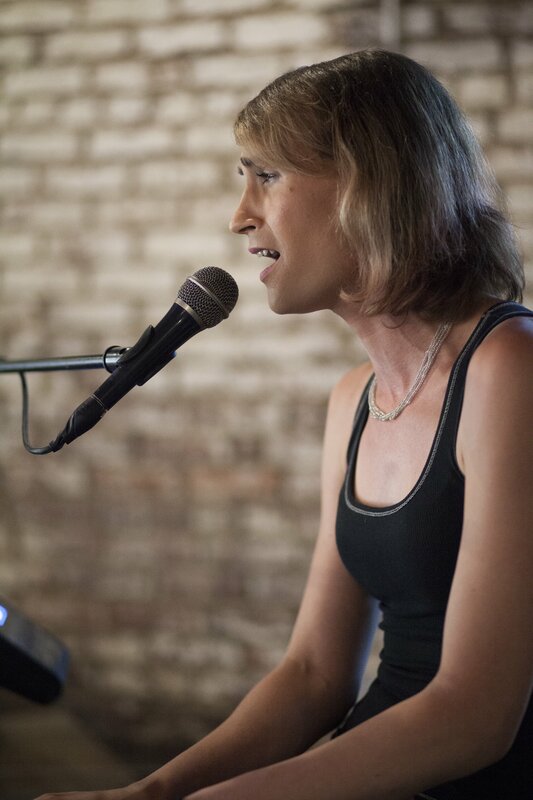 She knows that when people see her, they see a cisgender woman, “unless they’re looking closely and know what to look for,” so in many ways, she “passes” as a woman. It is apparent that Natalie’s passion is in her activism, and she uses her music as a tool in her fight for advocacy for the rights of those in her community. And it’s working. 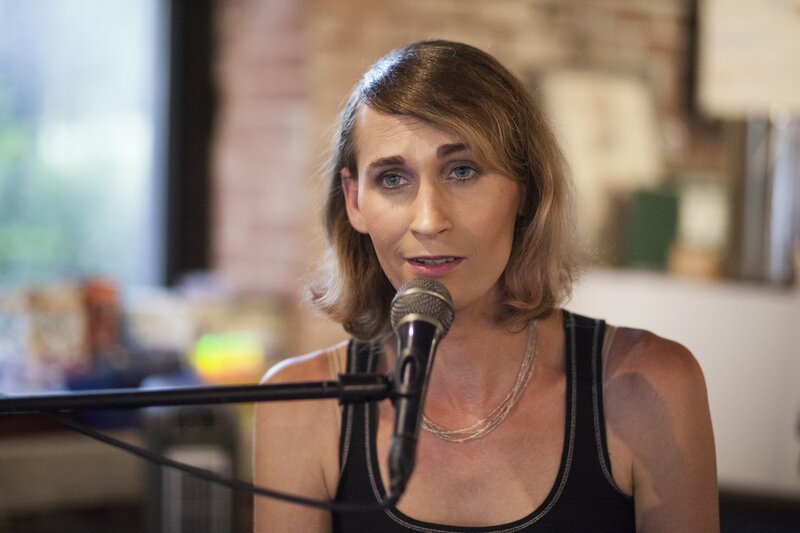 Natalie notes that she had very few people to look up to when she transitioned. She cites the late Rachel Bishop as her hormone guru, helping her know what to expect through each stage of her transition. She also mentions the “legend” Samantha Bartilson. Natalie says she hopes her legacy in the community is of someone who never let life knock her around, someone who was never afraid to take control of her destiny. “People often forget that a transition is a constant, active state of betterment. I’m no stronger, braver, or smarter than anyone else on this planet,” she laughs. “I just know that I am as entitled to happiness as anyone else on this planet. 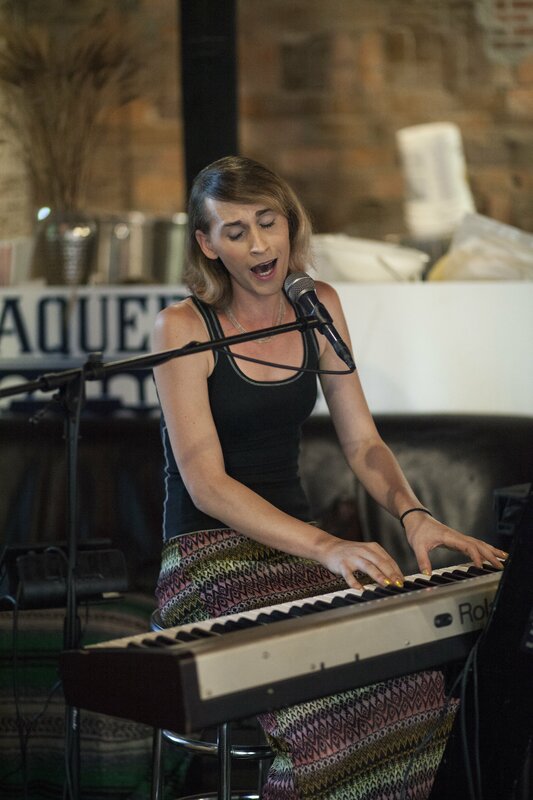 Natalie Grace Martin performs weekly at the Aqueduct Brewery and will be performing at Akron Pride at Hardesty Park on August 26, 2017. A GoFundMe has been set up to help Natalie offset the cost of producing her album at www.gofundme.com/help-me-make-sheherhers. Devon Anderson is a writer, mom, and wife whose perfect day would start surrounded by her children and husband and end on her patio with a good book and glass of whatever wine she has an Ibotta for that day.